Barielle believes that healthy is beautiful. Healthy, well cared for cuticles are beautiful cuticles. Beautiful, healthy cuticles grow more beautiful, healthier looking nails. Barielle has been a leader in salon quality cuticle and nail care and beautiful, fashionable nail colour for over 30 years. Please read their about page to learn all about this innovative and world renowned brand. Nail Strengthener Cream $10.00Originally created to condition the hooves of Thoroughbred racehorses, this trusted, legendary formula, with consistent use, helps your nails to grow stronger and resist splitting, peeling and breaking. This cream can be used whether you prefer not to polish and over nail enamel. 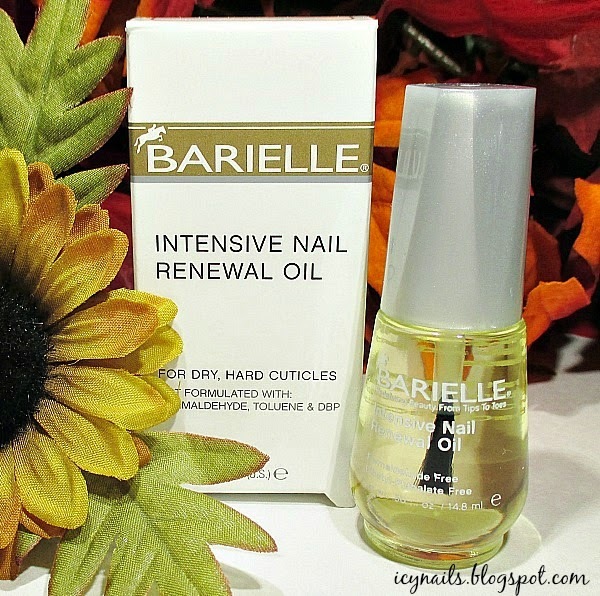 Intensive Nail Renewal Oil $12.50 A beautiful, lightweight oil blend that softens and renews cuticles and nails, replacing the moisture that soap, water and weather strip away. This oil can be applied over bare nails or enamel. Just touch the brush to your cuticles, rub in and let the oil do it's magic. Use this on fingers and toes for perfect manis and pedis. 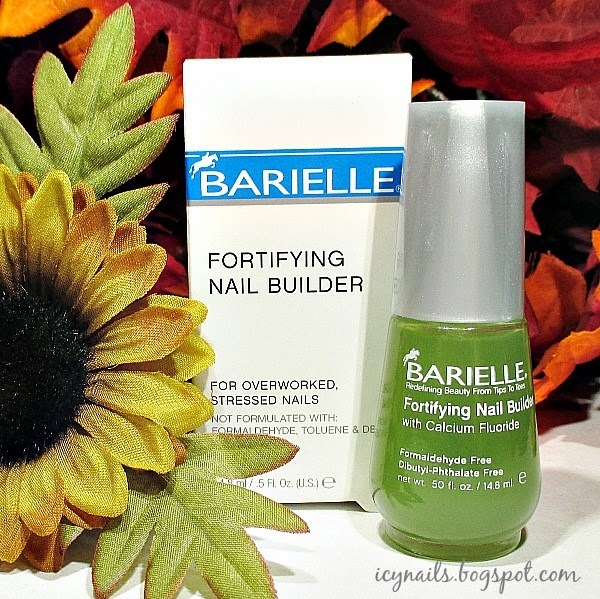 Fortifying Nail Builder $16.00 A base coat for stressed, overworked nails with Calcium Fluoride to help bond weak nail layers and free edges. This can be applied every other day as a treatment or used as a base coat. I have noticed that when I use this under my polish, my manicure lasts a little longer. Treatment and longer lasing polish? Score! 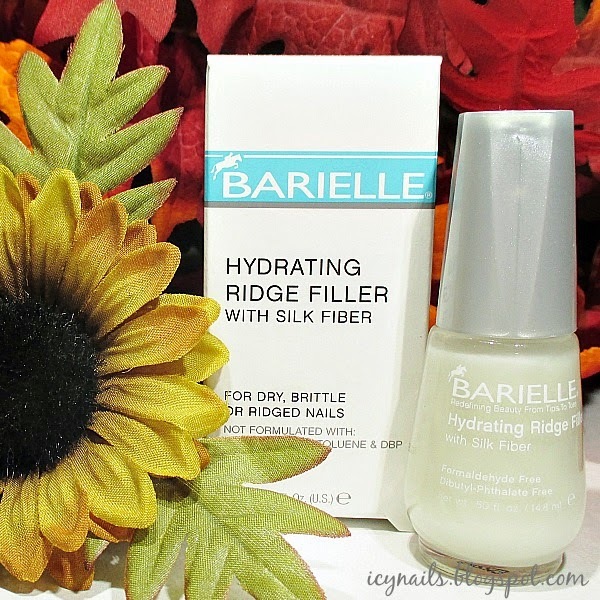 Hydrating Ridge Filler $16.00 Create perfection with this silk fiber enriched, moisturizing base coat that helps moisturize dry, brittle nails as is protects against breakage as it fills ridges and other surface imperfections. This ridge filling base coat works great on my nails. It smooths my ridges creating smoother, prettier nail surfaces for polish application. It also helps my polish to adhere a little better and last a little longer. I like to use two coats of this ridge filler on my very deeply ridged nails, like my ring and pinkie nails. My nails, with just the Fortifying Nail Builder. My cuticles treated with Nail Strengthener Cream and Intensive Nail Renewal Oil. My nails have a good shape but they aren't in very good shape. My nails have been through it in the last year, I'm not going in to it. I will say that I am working on them. Consistent use of these products is helping, but progress is slow. I am grateful to have these lovely treatments to help my cuticles look and feel their very best and grow the best nails I possibly can. Good topical treatments and beautiful polishes can take it from there. A nice manicure is only enhanced by my cuticles looking and feeling their very best. 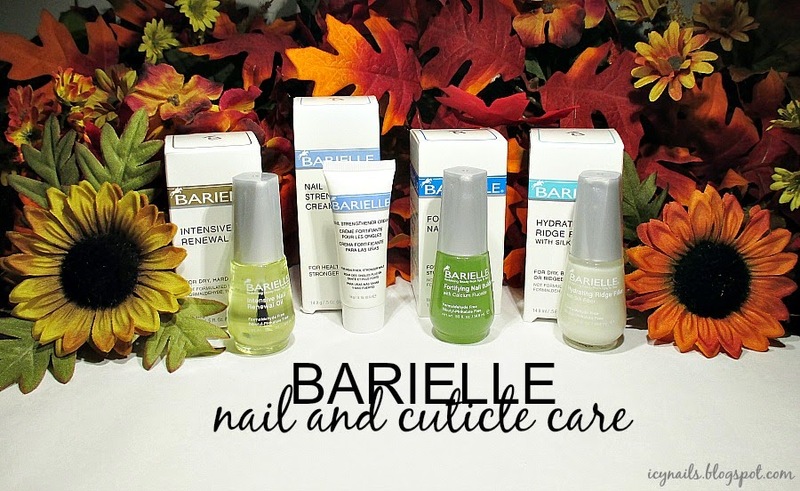 Routine cuticle care and use of my Barielle Nail Care Products makes it easy. Barielle products are free of Formaldehyde, Toluene and DBT. Barielle is cruelty free. Shop Barielle Nail Care, here. Barielle nail care and colour can also be found at fine retailers nationwide. Like Barielle on Facebook, follow on Twitter and Instagram and don't forget Pinterest. 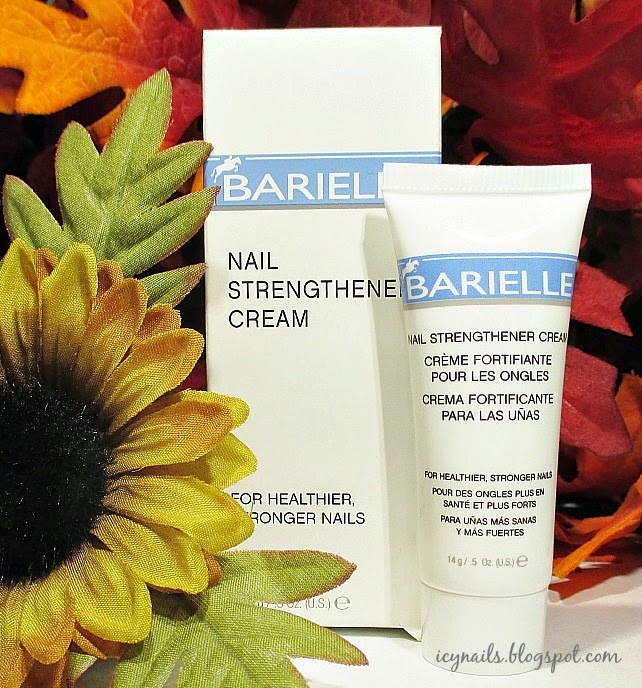 Do you use Barielle nail care products? What are your favorites? Please do share. Beautiful mani. I love the shades and designs. Very autumnal. 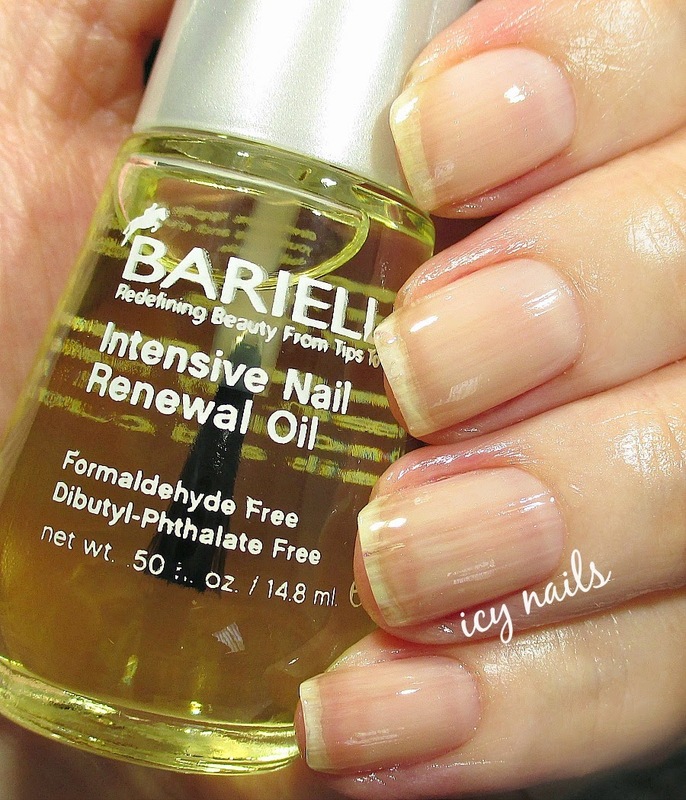 Barielle makes wonderful nail treatment products, so I must try their polish someday soon. Have you tried taking biotin to strengthen your nails? Beautiful main. I totally think I need that nail fortifying top coat. My nails for some reason are in serious need of some loving. I think I need some Barielle in my life. Everything looks and sounds nice! I love the manicure at the end. However, Barielle makes great products too. I could use the strengthening products! I need to try all of these - my nails need all the help they can get. Seriously need this. My cuticles have been cracking because it's becoming increasingly drier here! 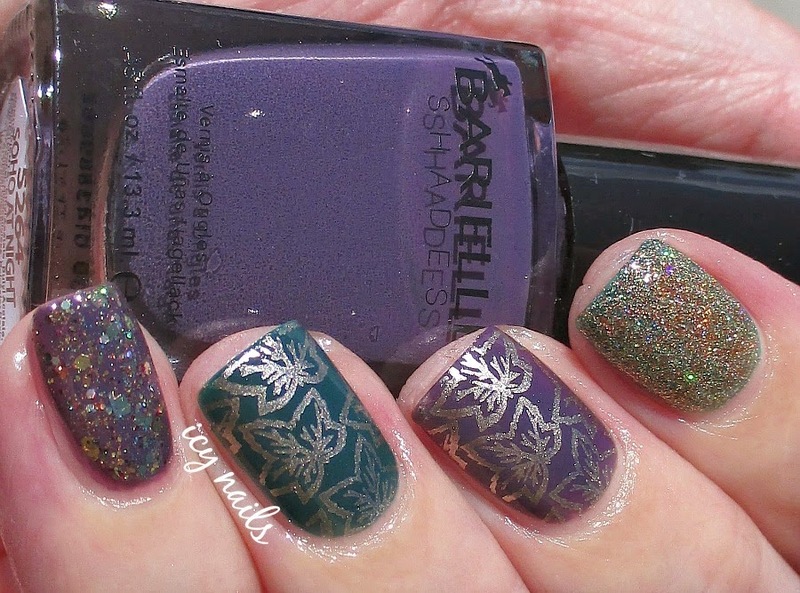 Barielle makes some awesome treatments, and I love their polishes, especially their creams. Cute mani, too! my nails are already a disaster with this cold weather. I need to pick up ALL of these. I need to give Barielle a try! I would really use the ridge filler. I should try some of these products. Btw i love this manicure you created! I have yet to try this product out, but it looks awesome! I use a lot of Barielle items and love them! These look like great products. I always get splits on my thumbs and peels on the rest of my nails, so my nails are currently in rehab. I should add a few of these products to my routine. I think I'll pick some up the next time Barielle runs a sale (which seems to be all the time!). Their products are so good. Treatments and polishes. I'm seriously impressed. They are. I was so thrilled to get to try them. I am sold and will purchase when they run out. They are excellent. We used Barielle hoof treatment on our horses hooves when I was growing up. I don't recall if it helped my nails, as well. It sure was good for the hooves. Give this brand a shot. They are so good. I am in LOVE with that ridge filler. I have tried others that didn't work nearly as well. I don't want to be without this one. Your cuticles will sing your praises. The cream and the oil would be wonderful for your cuticles. They are so nice and we all need some pampering. I feel ya. My nails... Still need help. Having healthy cuticles helps. Aw, thank you. :) They do. I am enjoying these and will repurchase. Thank you so much. The fortifying base coat is nice. I like that it helps my manis to last longer. I am hoping that in time, it will help the overall condition of my nails. They are so bad, right now. Ugh! I am taking Biotin and I am growing out the old nail material. It takes time to see the results from biotin. I have other issues that effect my nails, so it's an ongoing battle. LOL I just have to do the best I can. Keeping my cuticles on point makes a big difference, helps to grow better nails.